Our goal is to find you the very best wines at the lowest prices. Everyday we taste wines from all over the world in search of upcoming stars, as well as tried and true favorites. We work hard to bring you as many of these great wines as we can, but unfortunately we cannot stock them all. However, we will order anything you want, as long as it is available. We go the extra mile for you, our customer! Steve & I bought O’Bryan’s (formerly Roger’s Deli) in July of 1989. We were located on Montgomery Road in an old grey building (now gone & now a green space). It was a delicatessen back then serving hot & cold lunches! Actually, we made some fantastic sandwiches & always had lunch specials. People still comment on the food. We were awarded the State Liquor contract in 1990. It wasn’t self-serve back then, the employees ran the liquor from the back of the store. My how times have changed! 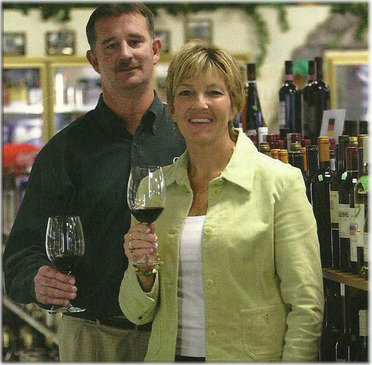 In 2004, we opened our doors in a brand new store. The deli was no more, but the wine & beer selections grew extensively since we relocated. Steve & I are thankful for our customers & have sponsored numerous soccer & baseball teams in the area. We appreciate the area & give back in numerous ways (non profit organizations, Loveland Food Pantry, South Lebanon Food Pantry, among many other fundraisers).